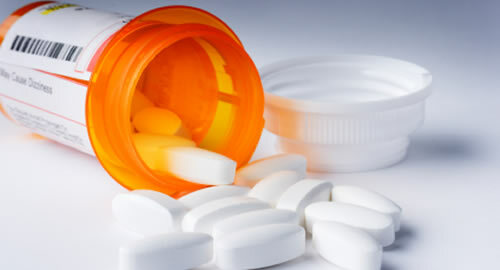 When Congress designed the Medicare Part D program, it ensured that the full range of six classes of critically important drugs — medications for patients with mental health conditions, epilepsy, Parkinson’s Disease, lupus, HIV/AIDS, cancer, and organ transplants — would be guaranteed on all health plans for the patients who need them. In short, the ‘Six Protected Classes’ policy has long stood as a guarantee to patients that their access to all available medications for the most serious diseases would never be in doubt. Today, that policy is under threat from a proposal by the Centers for Medicare and Medicaid Services (CMS). Under the proposed rule, CMS seeks to advance an extensive set of exceptions to the Six Protected Classes policy — far beyond what Congress has previously allowed. Under these changes, thousands of Medicare beneficiaries taking these vital medications could be forced onto an entirely new drug regimen and be left to deal with any complications that such a change would bring. The proposed changes are particularly concerning for people with a kidney transplant and who get their immunosuppressive drugs through a Medicare Part D plan. Doctors and transplant patients work together to find the right drug regimen that lessens side effects and manages the risk of organ rejection. It is a delicate balance, and for transplant patients who may also have comorbidities, finding the right balance can be even more challenging. Getting it wrong could result in losing the transplanted kidney, going back on dialysis, or having to get a second transplant if the patient is lucky enough to find another donated kidney. Therefore, it is critical that transplant patients have access to the full range of immunosuppressive drugs, so they can find and stay on the drug regimen that works for them. Please contact your U.S. Representative and ask them to tell CMS to preserve patient access to drugs within Medicare’s Six Protected Classes. As your constituent and as someone who has been affected personally by kidney disease, I am writing to request that you please tell the Centers for Medicare and Medicaid Services (CMS) to preserve Medicare's Six Protected Classes. While I appreciate that CMS is taking steps to address the cost of prescription medications, I'm concerned that this latest proposal on the Six Protected Classes in the Medicare Part D program will unwind some important patient protections and undermine access to medications for people with the most complex conditions, such as kidney transplant patients who rely on immunosuppressive drugs to prevent organ rejection. The drugs that are covered within the Six Protected Classes are there because many beneficiaries requiring these treatments live with conditions that require access to a range of medicines. These patients often need to work with their doctor to determine which drug or drugs will work best for their condition while considering other physical or mental ailments and prescriptions. This is particularly true for kidney transplant patients who require an immunosuppressive drug regimen and may also need medications to address other chronic conditions. Sometimes, this requires trying several drugs before the best fit is found. Most often, but not always, this is actually a low-cost generic. Allowing new limitations on the Six Protected Classes policy simply reduces access to the full range of necessary treatment options and would restrict physicians' ability to properly care for their patients' unique situation. I believe CMS's latest proposal fails to strike the right balance of providing access to life-saving treatment and ensuring Medicare's financial stability. Savings gained by restricting access to drugs in the Six Protected Classes will only lead to additional costs for patients, providers, and taxpayers when insufficient drug choices lead to hospitalizations and other costly medical setbacks. More importantly, it endangers patient health. For kidney transplant patients, failure to access the immunosuppressive drugs that work best for them could result in losing the transplanted kidney, which would then lead to costlier and life-altering dialysis treatments or another transplant procedure -- if they can find another donated kidney. Today, the Six Protected Classes policy guarantees that Medicare patients can get the treatment they need without being forced to jump through a maze of hoops. I hope you will tell the agency to think about the potential harm this new proposal could cause vulnerable patients and reconsider adding any new exceptions to the Six Protected Classes policy. Thank you for your attention to this important issue.